Nope, this post is not about the supposed "Glamorous Cabin Crew Life". Rather it is to offer you a glimpse beyond that image. Being a cabin crew is a dream job to many, it definitely has been dream come true for me. Did I complain about the job back then? Of course I did, who doesn't ever complain about their job? At the end of the day, it is still a fabulous job though not a perfect one. I would have continued flying if not for a family incident that required me to not be out-stationed so many days a month. Many aspiring cabin crews often do research on how to pass the interview but few fail to find out if the job is what they have in mind. Even though I am giving coaching on passing the cabin crew interview, I am not about to only mention the good about being a cabin crew while glossing over the others. This is because as I have mentioned previously, you will be bonded to the company once you are accepted. That's 4 months of training plus 18 months of flying. Add to that the interview and waiting time and it is about 2 years of your life. A long time to waste if you found out later that you hate the job. I have met cabin crew who absolutely hated the guts of the job and it was miserable having to report for their next flight. Overtime, the perks could no longer cheer them up and they get so weighted down by the cons it's pretty hard to watch. So while you prepare for the dream job of your life, take a little time out to consider the following points as well. 1. You will get homesick. More so if you are someone who loves spending time with your family. A cabin crew has plenty of off days but remember that some of these is spent while out-stationed. You will have about 10-15 days a month in Singapore depending on your roster. Will that be alright with you? Don't just think about the first few months. Think long run, month in month out. 2. Following on the above, you will miss at least some important days. Festive seasons with family and friends, your loved one's birthday, loved one's emergencies. This is a worse case scenario, but imagine your loved one is hospitalized. You will not be able to visit everyday after work like if you work in Singapore. There is COF (change of flight) but you won't always succeed for every time you need to be in Singapore. There is leave as well but how do you plan leave for an emergency? Of course, most cabin crew hopefuls are so young these things will hardly cross their minds. But they may happen so do think about it. 3. Moving on to less depressing stuff. Your biological clock will be completely screwed! If you have lived your whole life religiously waking up at dawn and sleeping by midnight, your system is in for a big shock. You will forever forgo any routine for as long as you fly. A good thing if you hate routine like me, a disaster if you need some semblance of it. Until you body adjust, your immune system will be weak and you will be fall sick easier as you wake up in cold London one day and hot humid Singapore the next. Despite your weakened system, you will be expected to perform professionally to the usual high standards. Cabin crew are expected to keep themselves healthy and MCs are frowned upon. Many of my colleagues who see this as a career have not taken a day of MC since the day they joined the company. Have you seen this in any other job in this day and age? 4. It involves manual work. I know the cabin crews seem to work effortlessly in the cabin (this is the required corporate image) but all the work is happening behind curtains in the galley. Many crew will have back problems as the years go by. The stewardess always seem to have flawless make-up and not a strand of hair out of place in the cabin. This is not because the work is not hard, but maintained with endless touch-ups through the flight. 5. Your skin and hair will suffer. If you have good skin with strong defense mechanism to start with, the effects will be less. Cabin crews with weaker skin will require constant maintenance even after they stop flying. I have eczema and even till now, my skin has not regain its pre-cabin crew glow. The amount of hairspray you use will also eventually take its toll on your hair. If you have long hair and need to tie it up in a bun, the constant stress of pull and tugging at your scalp will cause you hair to thin over time. Some will see this as a small sacrifice and other will think it not worth the potential damage. Where do you stand? 6. It can get lonely. If you are close to your batchmates, good on you! You can try to change flight to fly together and go traveling when you land at a station. 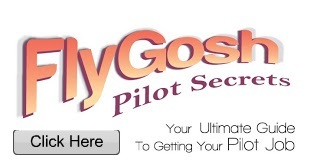 Most of the time, you will be flying with complete strangers. After a while, you see the girl who did Perth with you last year and try your hardest to remember her name so as not to appear rude or worse a senior crew that you vaguely remember having a bad flight with but can't for the love of god remember his quirks. Imagine going into office like it's your first day of work every single time. You have to second guess everything. How are your colleagues? What are their working styles? 7. Applicable to older/ mid-career hopefuls because these must be the furthest things from the minds of younger hopefuls. That is career and life planning. For ladies, there is not maternity leave and you will have to quit with no guarantee of re-employment should you get pregnant. For guys, it is no longer an iron rice bowl like before but 5 years contracts that are up for renewable depending on your conduct and performance. Married man with families tend to see this as a precarious financial position. For both ladies and guys who join mid-career, you will be in for a cultural shock unless you worked in the military before joining. The cabin crew cultural in SIA is strictly hierarchical. I don't see this as a bad thing. It ensures service standards and consistency of service throughout flights but can be very hard to accept if you are not used to it. As a professional from a previous occupation, can you take it if a 21 year old talks down to you or reprimands you in front of others? Can you still swallow your pride and say "sorry" and "thank you for pointing out my flaws"? Being a cabin crew is a great job. Do take some time out to seriously consider all sides of the occupation. Some will be a natural at dealing with what life throws at them while others will struggle more. However, it is all manageable with the right attitude. Things will get to you and you will be thrown situations you least expect but all these also help you grow and as you handle them so will you confidence. I am not bothering to include things like office politics and difficult customers in the list as this is to be expected in any job. 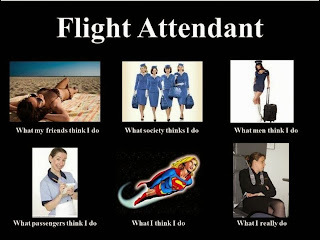 So has anything about being a cabin crew ever worried you? Article above written by an ex sia cabin crew shared by one of my reader.